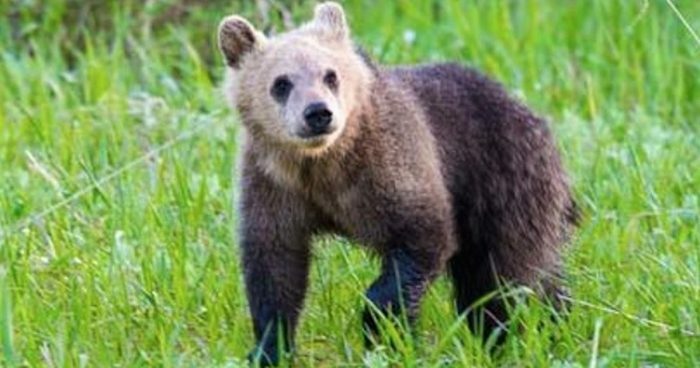 A young-of-the-year grizzly cub was hit and killed recently by a vehicle west of Valier near the Rocky Mountain Front. The accident took place 11:30 p.m., June 24, about four miles west of Valier on Montana Highway 44 near Dupuyer Creek. Although no other bears were reported at the accident, just a few days before a female bear with three cubs was seen feeding on old grain 150 yards north of the highway. Fish, Wildlife and Parks staff had planned to clean up the old grain, but due to responding to higher human and property safety priorities was unable to get to it. The landowner has since cleaned up the grain. FWP recommends old grain is either disposed of through waste services, burned, or dumped out in the open away from people, livestock, and buildings to prevent bears from coming near people. At least two other grizzlies have been hit this year by vehicles in the northern Continental Divide area. Drivers should be particularly careful driving from dusk-dawn, especially near rivers and creeks.